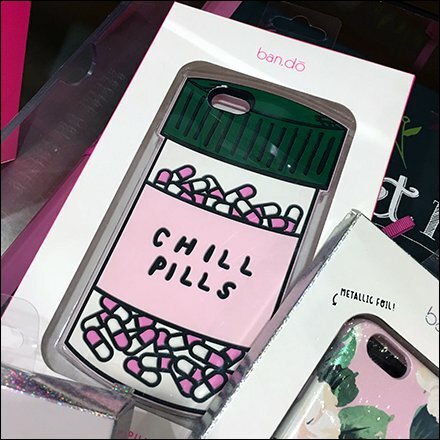 Most news received via my cell phone is not of a calming nature, but maybe it would be with a Ban.do Chill Pill Smartphone Case. I admit it was the Chill Pill theme that grabbed my attention, but the Ban.do branding was also of interest. This Ban.do Chill Pill Smartphone Case and others oversimple merchandised via Bulk Bin at Macy’s.